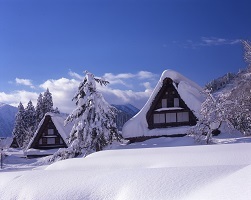 An alternative to Ainokura is Shirakawa-go. Welcome to Yomoshiro. 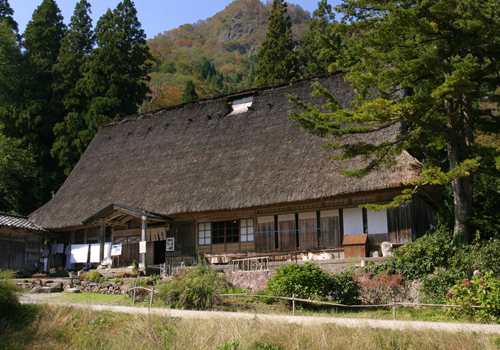 This Gasshou-Zukuri minshuku is a part of a world heritage site. This area gets an incredible amount of snow in the winter time. Here you will have an authentic Japanese experience. 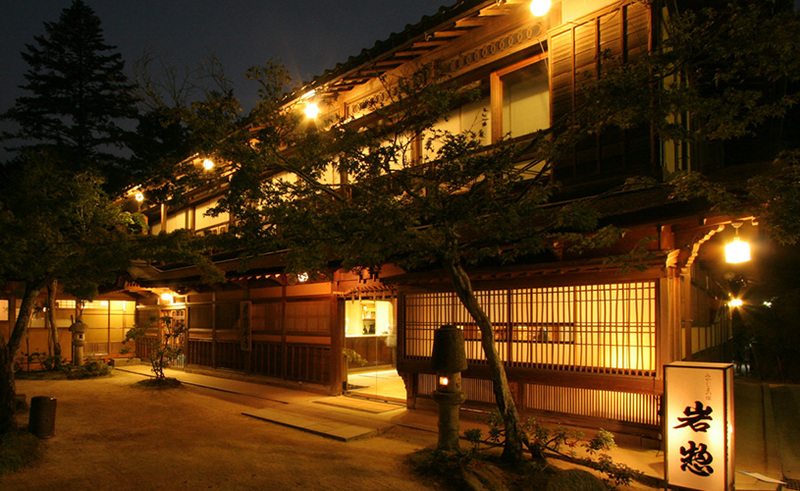 Yomoshiro is made of one building with four guest rooms and it is run by a warm welcoming family. Dinner there features vegetables that is collected by the father from the surrounding mountains and is prepared in the style of a traditional Japanese family. 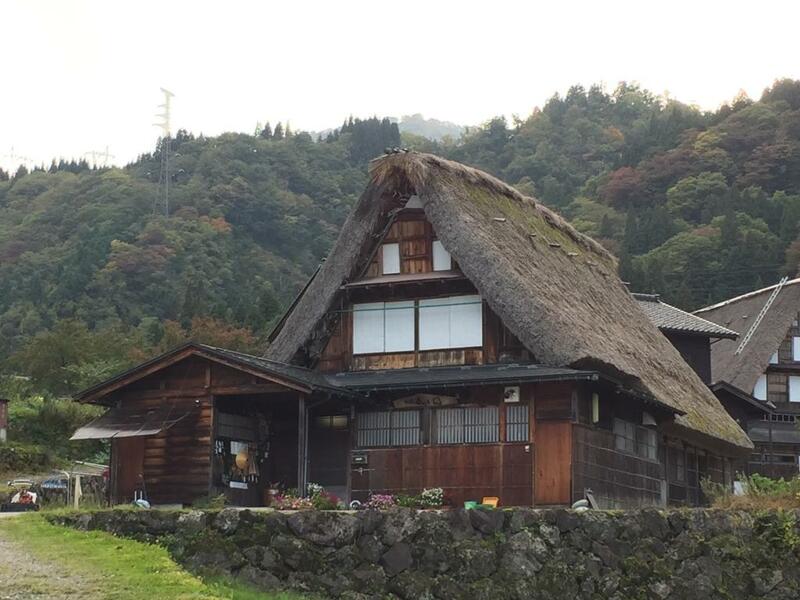 Welcome to Yusuke, a thatched-roof "Gassho-Zukuri" style of building (Farmhouse) in Ainokura. 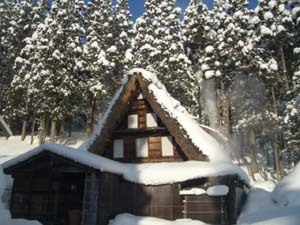 Yusuke is typical of the Gassho-Zukuri in this village, and all 3 guest rooms are traditional Japanese-style. Yusuke is known for its marvelous indoor bath. Local river fish and fresh, seasonal vegetables are served throughout the year. Guests staying at Yusuke must use the "Family Bath". It's a bath that guests (or small group) use one at a time. Please ask for it during check-in. Welcome to Nakaya. 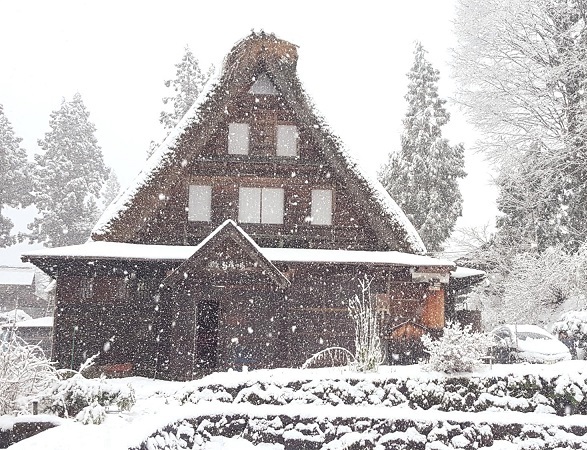 This Gassho-Zukuri ryokan is a part of Ainokura world heritage site. It has three rooms and it is run by a warm welcoming family. Since you will be staying within the site you will be there to take pictures before most of the tourists show up. Cuisine there is a mix of ingredients from the local mountain and the local river, so it changes from season to season. Welcome to Choyomon. 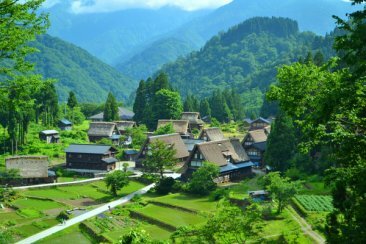 It is a part on the UNESCO world heritage site, Ainokura. 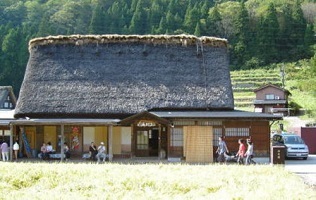 It is a small Gasshou-Zukuri home with four rooms with a maximum capacity of 10 people. It is run by a small welcoming family that speaks good Japanese. Cuisine there changes from season to season, but it always features local vegetables. You will eat together around an irori or a traditional Japanese fireplace.